Yearning for some Grooves? How about a little food? 10 of the hottest music venues in Greenwich Village. 10 of the hottest food venues in Greenwich Village. A little history of the music culture in Greenwich Village. Prices, hours, and locations for all 20 music venues and restaurants. Greenwich Village is one of the most charming places on the island of Manhattan. It's also one of the most vibrant, with the very best music and food that a city could possibly offer. 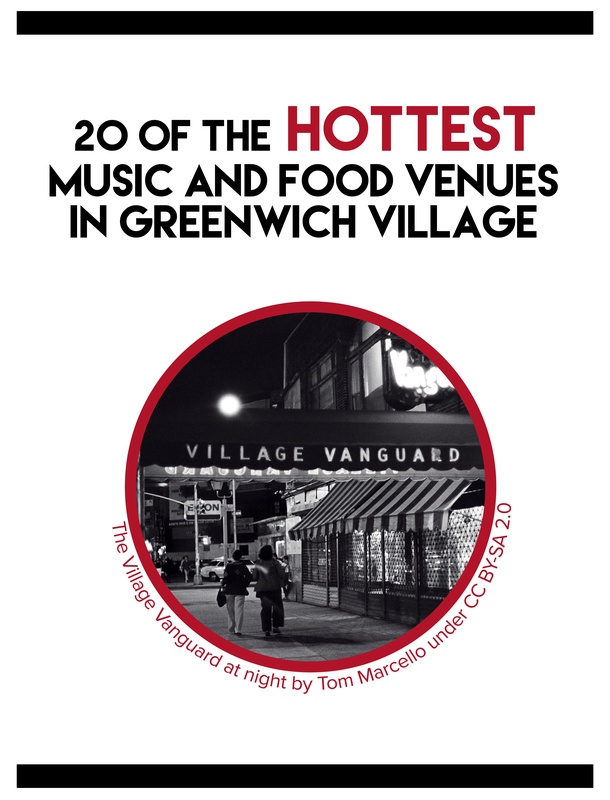 In this free ebook you’ll find information on 20 of the hottest music and food venues in Greenwich Village, from clubs Bob Dylan played at to restaurants celebrities love. Since the mid 1900s, the neighborhood is still home to some of the best music venues, bars, and restaurants in New York City.